During Mary Stuart’s captivity in England, she was incarcerated in a series of castles, the worst of which was the infamous Tutbury Castle, owned by the Earl of Shrewsbury. Tutbury was never properly maintained due to the high cost of doing so and because the Countess of Shrewbury, known as Bess of Hardwick, who held the purse strings in that marriage, was more interested in building modern new manor houses than trying to fix old castles. The Earl and Countess of Shrewsbury of course had to live in this nasty castle as well as captive Queen of Scots, so it was in their best interests to petition Queen Elizabeth Tudor for allowance to move Queen Mary to one of their many other residences. So Mary moved from Wingfield Manor to Chatsworth House, but neither of these fine places were deemed to have good enough security to hold the Queen of Scots, famous for her ability to escape her prisons. 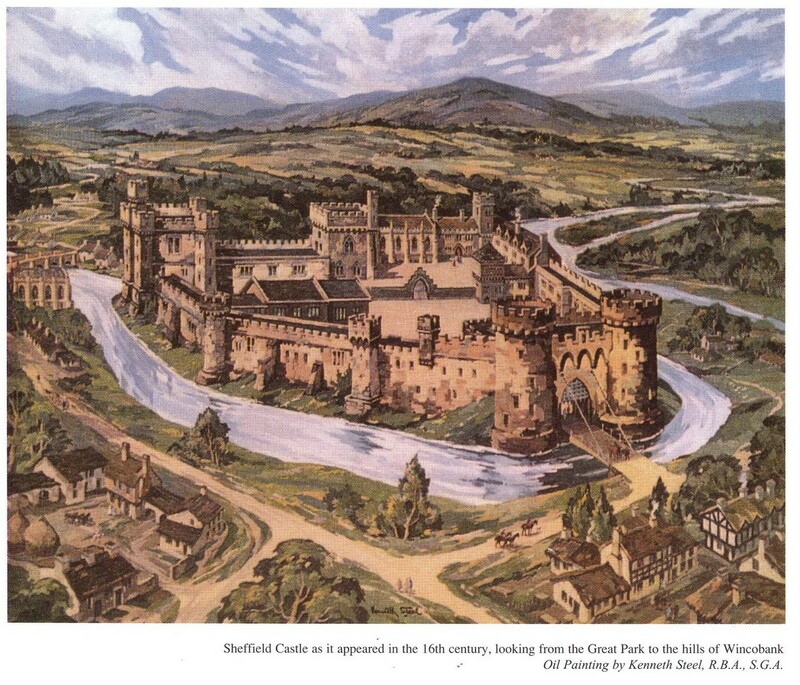 So in November 1570, she was taken to Sheffield Castle, the earl’s main home, and here she would stay for more than two years, the longest she would stay in one place while in England. After the Ridolfi Plot & the execution of the Duke of Norfolk, Mary was moved back to Tutbury Castle, apparently as punishment for her involvement in the plots that swirled around her. She became very ill almost immediately.